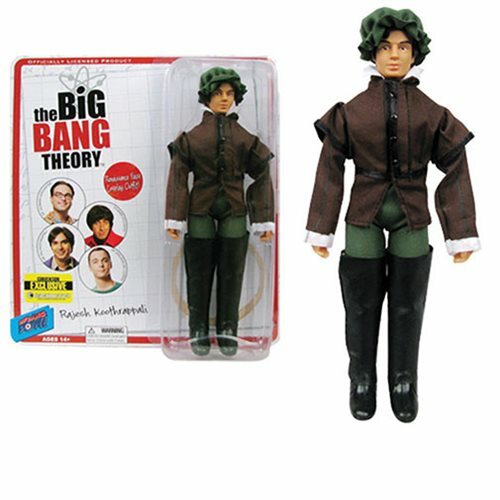 This Convention Exclusive features Raj in a Gentleman's costume. Gentleman Raj 8-inch retro-style action figure features episode-specific inspired clothing and multiple points of articulation. Entertainment Earth Convention Exclusive! Your favorite stars of The Big Bang Theory appear in costume as they did in the Season 2, Episode 2 "The Codpiece Topology". Collect them all! Each figure is a convention exclusive that comes individually carded.